How exciting to pack for an upcoming trip. I always check out weather and yes, what kinds of activities. Jeans are a must and comfortable walking shoes. Layers are good too. Your cardigans would be perfect. The funny thing is, that is what I thought I was doing! That’s basically how I dress in my normal life, so it’s baffling to me how I messed up my packing. Gosh, I hadn’t thought about it much. 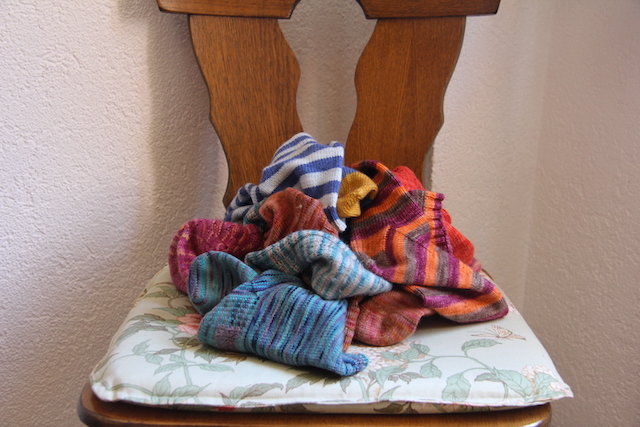 Today, I did notice that all of my sweaters are in a similar palette: greens and greys. I suppose I have a hard time not matching what I own because everything is so neutral to being with. I hate packing for trips like that, when the weather is uncertain and the activities are varied, I feel like I always bring way too many things. And I just do not understand those articles where people write about packing for a 2 week trip in one backpack… sigh. I just need to say again how much I love your Grace cardigan! Thank you! 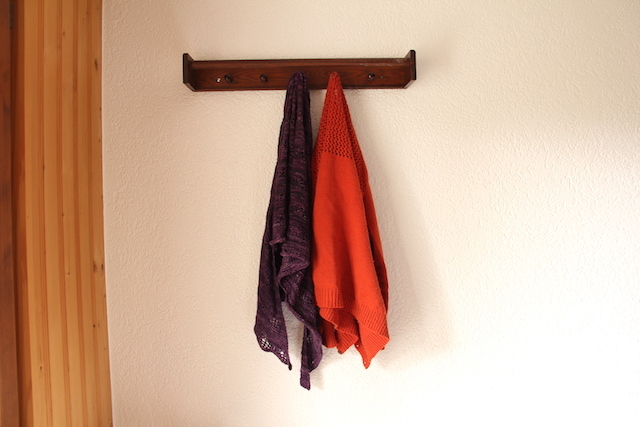 I am continuously amazed at how versatile a bright orange cardigan can be! In terms of packing, I try not to bring a big bag when I go away (I usually take my hiking/camping backpack, so I can carry it), which really limits what I can bring. Maybe that’s part of the problem — I used to pack as much as I wanted and now I can’t.